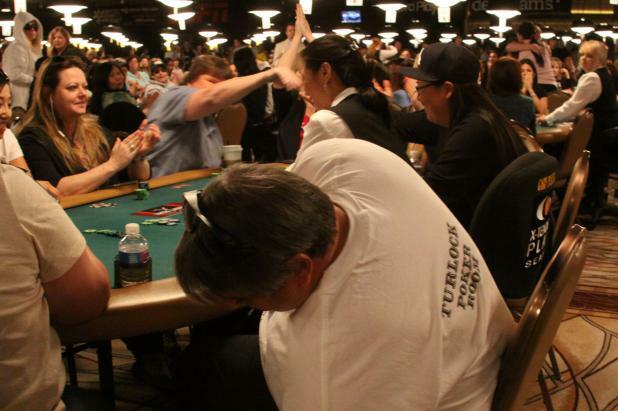 A number of players are taking the leap into playing multiple events at the same time in this year's WSOP. The newest member of that club is Maria Ho, who is in the $1,000 Ladies Championship as well as Day 2 of the $2,500 Mixed Hold 'em event. As one of the few men who dared to enter the $1,000 Ladies Championship collects his belongings, the table cheers and exchange high fives upon his elimination!